1). 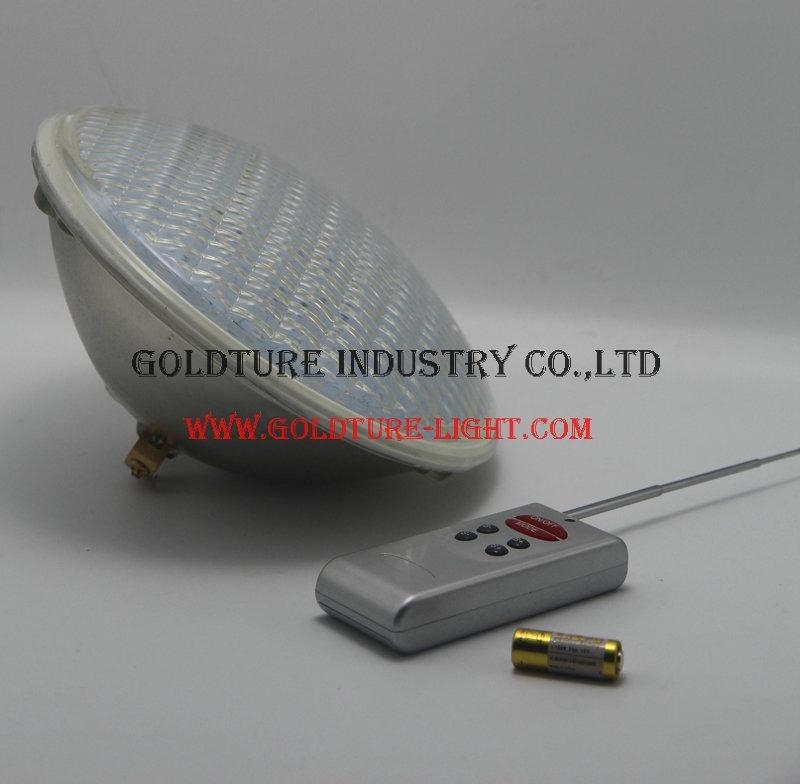 Our PAR 56 Pool Light can work with AC12V and DC12V. 2). 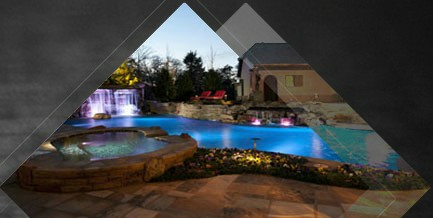 It fits to poolhousing(niche) of Halogen 300W Bulb because it is designed to replace Tranditional PAR 56 Bulb on purpose. 3). LED PAR56 Bulb can be single color(Red,Green, Blue, Warm White, White), and Multi-color(RGB with remote). 1). It can be powered on/off by remote. 2). Customers can make the lamp stays on one color, for example, on blue color by pressing buttom" mode", it includes static state color, RGB color changing mode, flashing mode, jumping mode, gradual mode. 3). The color can be adjust slow down or speed up by pressing "s+", and "s-" when the lamp is on color changing mode. 4). And you also can adjust its brightness by pressing "B+" and "B-" of static state color. 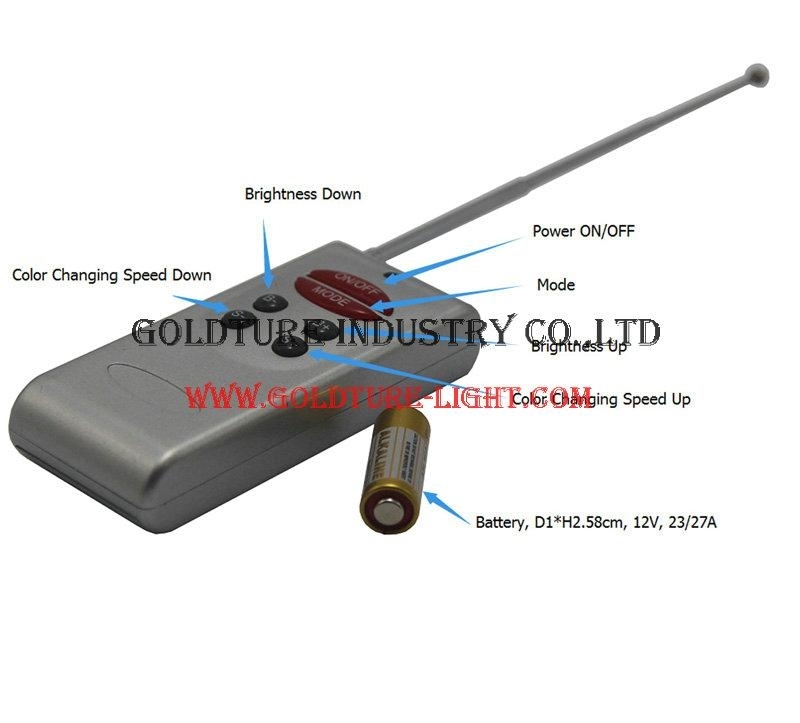 Our remote needs one piece of 12V 23A/27A battery.